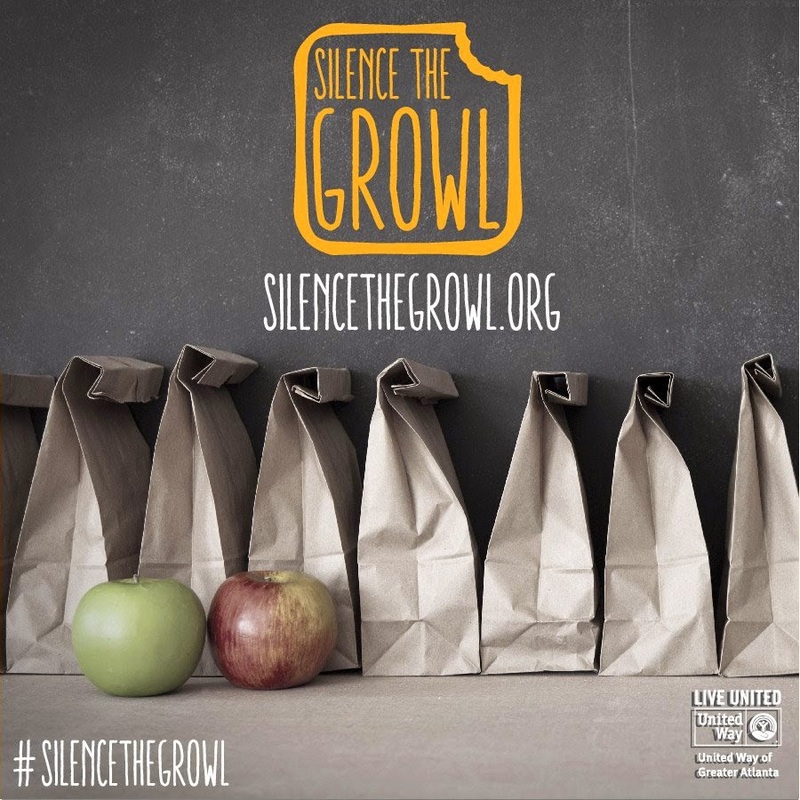 United Way of Greater Atlanta is kicking off its second annual Silence the Growl – its campaign to fight summer hunger among children who receive federally funded free and reduced meals during the school year. Last year, United Way and its partners fed more than 7,000 meals to children that are not part of a summer lunch program. This year’s goal is to provide more than 15,000 meals. The campaign ends June 1. -Make a one-time or recurring donation online. -Set up a fundraising page, send the link to family and friends and ask them to donate. This donation will feed 2 children for 1 day. This donation will feed 2 children for 1 week. This donation will feed 1 child for an entire month. This donation will feed 1 child for the entire summer. With this donation, you will receive a “SILENCE THE GROWL” shirt. This donation will feed 2 children for the entire summer. With this donation, you will receive a “SILENCE THE GROWL” shirt. This donation will feed 2 children for the entire summer and support food pantries that serve families in our community throughout the year. With this donation, you will receive a “SILENCE THE GROWL” shirt. -Invite friends over for a meal and ask them to give a donation to Silence the Growl as your host/hostess gift. To make it easy, we created customizable invitations, thank you letters and a website for your guests to make their contributions. We also have fun placemats and table tents you can use to decorate. -Sign up to help distribute the meals. For more information on Silence the Growl, visit silencethegrowl.org.